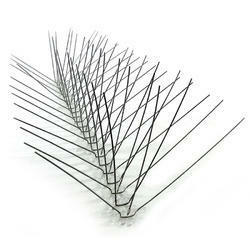 Suitable for all level of bird pressure including where birds are roosting at night or nesting. Bird proofing net is UV light stabilized for better durability. Also it is heat treated to prevent knot slippage. 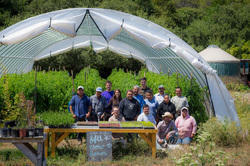 Net is resistant to attack by insect, bacteria and fungi. 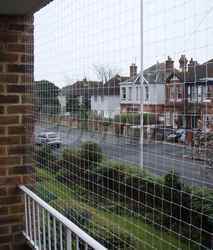 Bird proofing net only denies the access of bird without any harm . The net are attached to a 2mm perimeter straining SS wire which is supported by fixing drilled into the stone work . The SS wire is tensioned using SS M. 6 barrel strainer and the net is attached to the SS wire using SS hog rings. 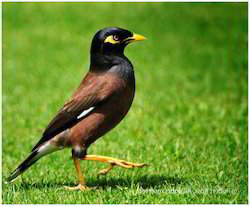 Specifications Place of Origin:Mumbai, India Brand Name:All pest Solution Model Number:Kabootar Jali NA:NA Packaging & Delivery Packaging Details:IN CARTON PACKING Delivery Detail:Shipped in 30 days after payment. 1.Long service life: anti-aging, anti-cold, anti-heat, anti-dry moisture resistant, fire-retardant, anti-moisture, anti-static, light transmission is good, is not channeling wire, non-deformation, anti-ultraviolet, tensile, strength and long service life and so on. 3.Gauze choice of glass fiber yarn, fire retardant. 4.With anti-static function, do ont stick ash, gas-permeable. Looking for Bird Proofing Service ?